To celebrate the opening, Six Senses Krabey Island is offering an exclusive Private Experience Package – 20% savings on the best available rate for guests who visit from 1st – 21st December 2018 and 11th – 31st January 2019. This 4 night package includes accommodation in the Hideaway Pool Villa Suite, a specially crafted tasting menu at the resort’s signature restaurants, a sunset cruise, a therapeutic massage and a hands on cooking class! The property is set on a 30 acre private tropical island located 5 kilometers off Ream National Park in Southern Cambodia and with the capability to facilitate private jets and helicopters, this is most definitely not just your average island! The island will have 40 luxurious private pool villas that showcase Six Senses’ commitment to sustainability while embracing modern technology for guest’s upmost wellness and comfort. 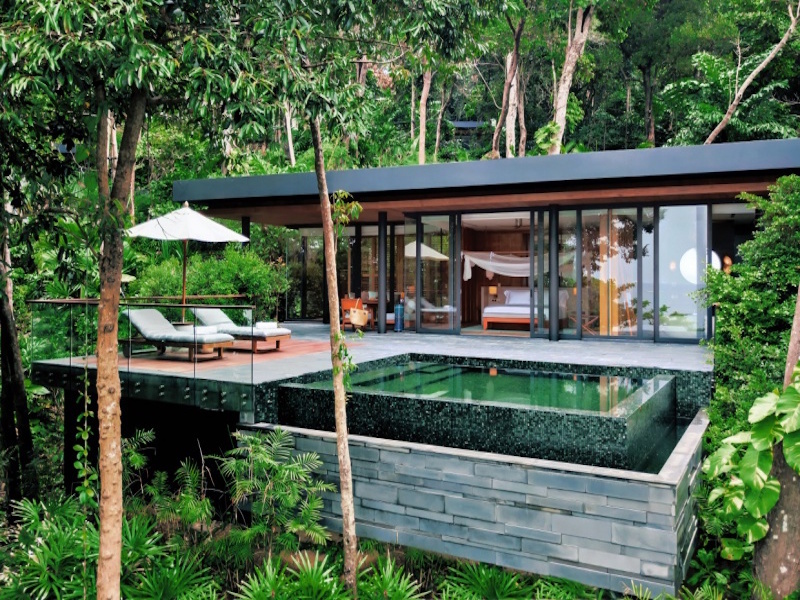 The villas’ highlights include green living roofs, sun decks with infinity plunge pools and rain showers. The resort will also have 2 unique restaurants with menus focussed on quality local produce and seasonality to create Khmer and Southeast Asian cuisine together with International dishes. Whilst staying at the resort, guests can visit the expansive spa which is inspired by the sacred Khmer Kal Spean River and offers a wide range of Holistic rejuvenation and beauty treatments plus Six Senses Integrated Wellness. Alternatively, guests can try their hand at a multitude of activities from water sports and snorkeling to organic farm visits with cooking classes and a jungle fitness circuit – there’s something for everyone!